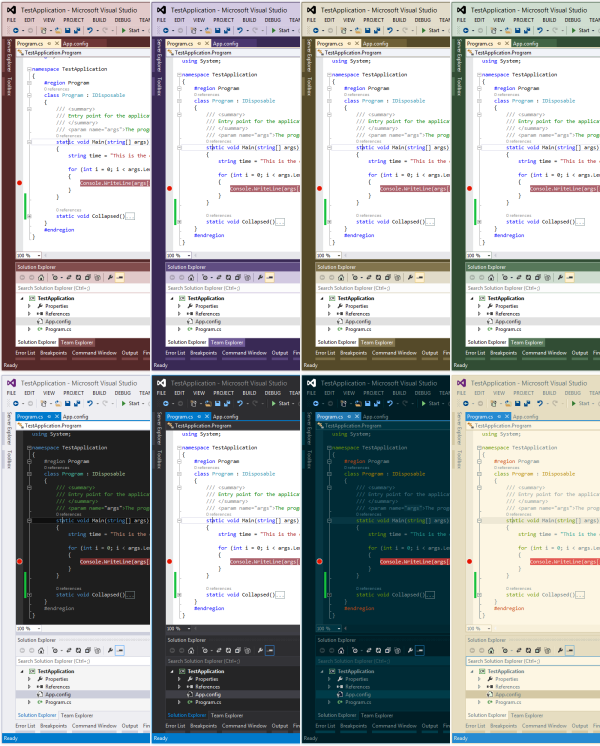 Allows users to customize the Visual Studio 2013 color palette. This extension is supported for Visual Studio 2013 Professional and higher. ThisChannel 9 video gives an in-depth description of how to use the extension.